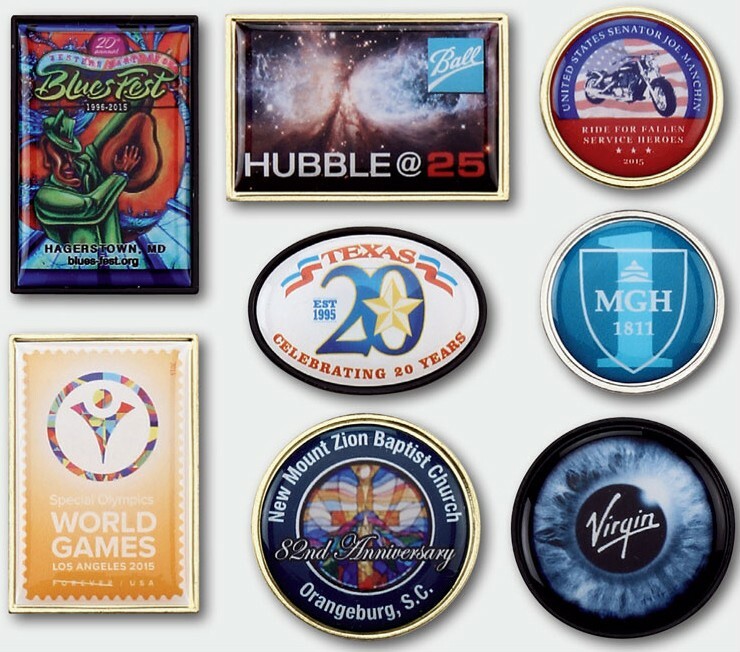 When you are short on time, look no further than our USA made rush photo products. A fully printed label is placed onto a stock metal shape and then protected with a clear poly-coating. Only stock outer shapes are available for this style. All items require an exposed metal edge.